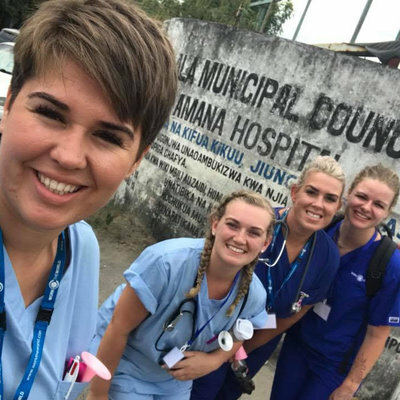 After spending a month in Takoradi with Work the World, I wanted to share some personal reflections on my experience, in the hope of helping other student midwives considering a placement in Ghana. I spent two weeks in a large regional hospital which was also a referral centre, followed by two weeks in a smaller private maternity hospital, allowing me to see different aspects of healthcare provision in Ghana, and to explore both in quite a bit of detail. The first thing to emphasise, is that much of the midwifery practice you will see in Ghana will be very similar to that in the UK or any other developed country. The differences lie partly in cultural attitudes to birth, pain, bereavement, and death, as well as partly in the greatly reduced resources available - something that mainly translates into vastly reduced numbers of midwives. The other noticeable difference is the lack of evidence-based care, and adherence to models of care dating back to the ‘50s, familiar to fans of ‘Call the Midwife’. Most of the commonly used midwifery drugs are available, along with clean needles/syringes and gloves, handwashing facilities and soap (but not towels). There is a decent theatre at the hospital for cesarean sections, and the doctors are extremely well-trained and up-to-date. The antenatal care in Ghana is very similar to that provided in the UK, although there is much less time for each appointment. Similar infectious disease and blood group testing is done in early pregnancy, a very brief history is taken from the woman, malaria prophylaxis, ferrous sulphate, vitamin B complex, multivitamins and high-dose folic acid are routinely given all the way through pregnancy. I would advise starting out on your first day in antenatal clinic, as this is a very familiar setting, and routine, except for the huge numbers of women being seen very fast! You may start out doing 40 or 50 blood pressures, and then graduate to SFH measurement, palpation and auscultation with Pinard. It’s great fun, and you can learn some basic Fante very quickly in this setting, due to the constant repetition. 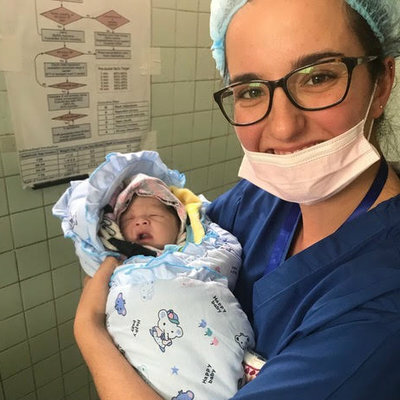 Intrapartum care is a more challenging environment, as the practice varies more from the UK and the cultural norms are completely removed from our comfort zone. I found that in my first week on labour ward I experienced culture shock, partly from seeing midwifery practices I considered outdated, but also from seeing the conditions in which the women labour and birth their babies - in an open ward with little or no privacy. 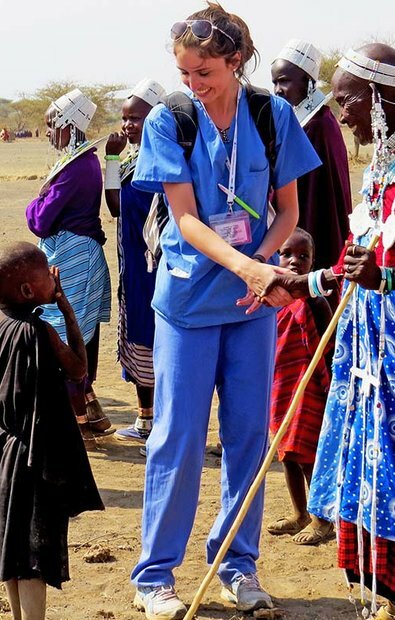 The experience of culture shock is very personal, in my case, I had one shift where I felt completely dislocated, and unable to understand the attitudes of the Ghanaian midwives, or of the women they were caring for. It was an overwhelming experience, and I was so relieved when that shift ended. I spent the next couple of days wondering why on earth I had come to Ghana, and what I had hoped to learn! By my second week, I made it my mission to learn more about the whole maternity unit, and spent some time each on Antenatal Ward, Postnatal Ward, NICU and Antenatal Clinic. My way of coping if I don’t understand something is to research the hell out of it! I read the women’s histories, the ward record books, looked at maternal mortality statistics, and discussed midwifery practice with the senior obstetric consultant. During that period of reflection, I found myself asking: What does my practice need to be here? What do I do in this situation? Can I follow NICE guidelines in these working conditions? How do I prioritise, when there are 5 women on labour ward and only one midwife apart from myself? When I returned to Labour Ward, after reflecting on and processing my experiences of the first week, it was with an increased understanding of the health system, renewed enthusiasm, and increased respect for the Ghanaian midwives and their ways of working in very difficult circumstances, with humour and efficiency. After much soulsearching, I came to understand better the dilemmas that the midwives were facing, and some of the reasons they were practicing in the way they were. I came up with answers that worked for me, and began to confidently discuss care plans with the midwives, often suggesting increased mobility for the women in first stage, and change of position in second stage. One of my priorities was to prevent routine episiotomy for primips, and I was successful in this regard in the 2 weeks I worked at private hospital. I delivered one primip on hands and knees, with an intact perineum, and the midwife who observed me declared herself to be so impressed she was going to try it herself! I loved my time in Ghana, I felt that I both lost my way and then found it again, and in the meantime discovered myself as a midwife, completely reviewed every aspect of my practice and why it was important, and gained massively in confidence in my own midwifery skills and practice. I am going into my third year with a completely different mindset, ready to take on the world! 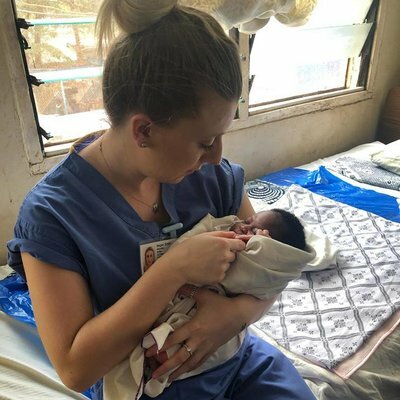 I would recommend Ghana as a midwifery placement to anybody who wants to be challenged and learn more about themselves, as well as have an opportunity to visit this amazing country. I would like to thank the Iolanthe Midwifery Trust, who made my journey possible, through a generous grant. The Trust is an amazing organisation that is committed to supporting student midwives who want to challenge and stretch themselves.